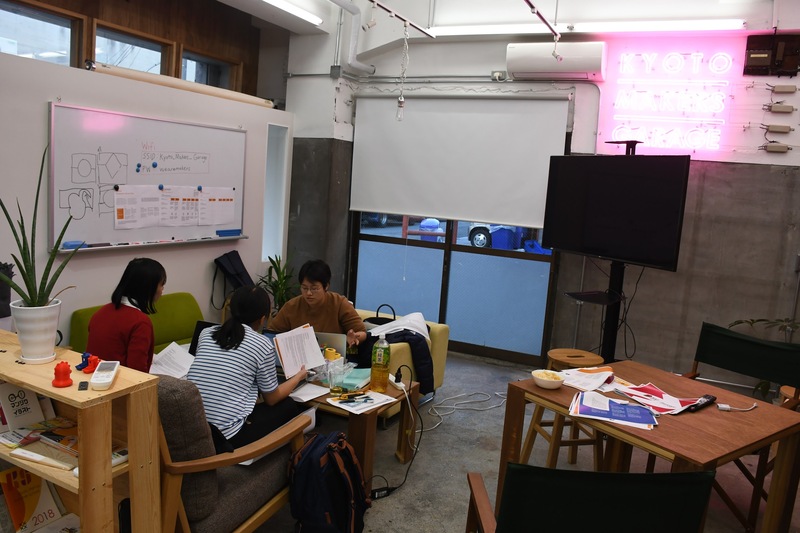 From November 20th to 24th 2018, the KYOTO Design Lab cohosted the global product development hackathon “Rat Relay” organized by the Design Factory Global Network (DFGN https://dfgn.org/). The DFGN is a network of innovation hubs at universities and research institutes in five continents around the world with the mission to create change in the world of learning and research through passion-based culture and effective problem solving. During the hackathon, the product development process based on design thinking was split up into six, six-hour slots: Empathize and Redefine, Ideate, Prototype, Test, Iterate, and Wrap up. 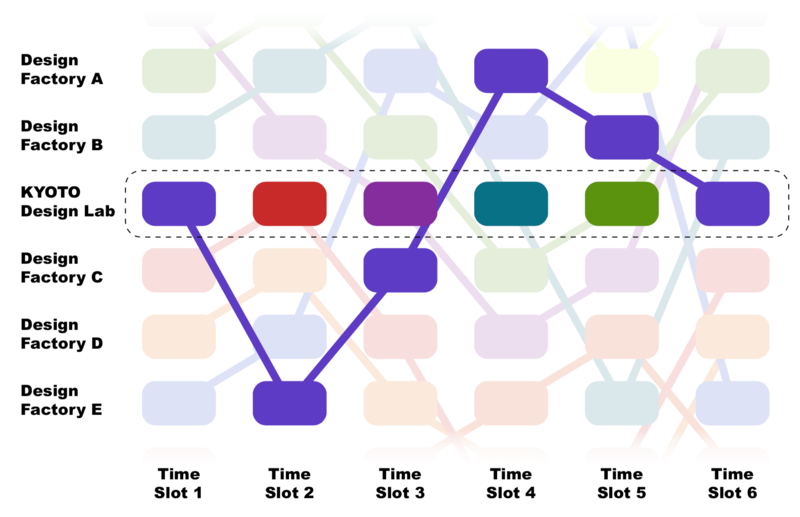 After each slot was completed by an institution in the DFGN, the content was packaged and delivered to another institution to develop further, hence the relay format. Students form institutions in 13 different countries participated in this most recent rat relay, and each institution brought one challenge to be tackled from a sponsoring organization. The host institution was responsible for kicking off and wrapping up the project while four other institutions worked on the intermediate slots. 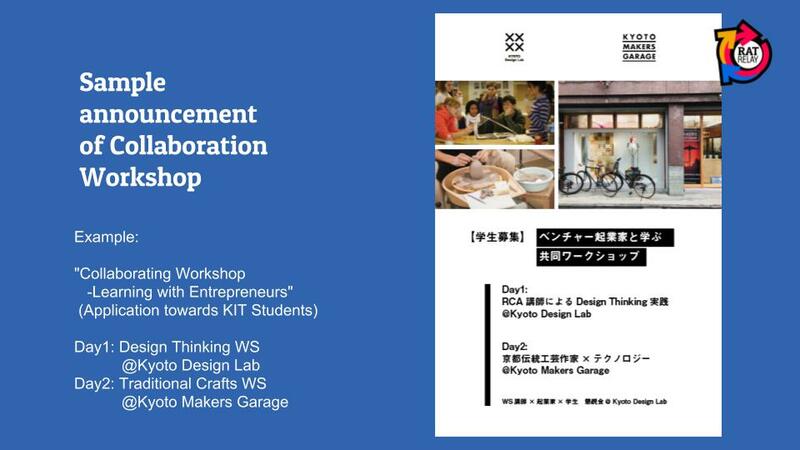 Kyoto Makers Garage (KMG https://www.kyotomakersgarage.com/) sponsored the projects hosted by the KYOTO Design Lab and the challenge was “how to make maker spaces more attractive to students in Kyoto.” Slot I began with the participants at the KYOTO Design Lab visiting the KMG and interviewing the staff and users. The participants included not only students from the Kyoto Institute of Technology but also local community members in Kyoto. For slots II through V, the D-Lab worked on projects that began in Finland (Slot II: Ideate), Latvia (Slot III: Prototype), Estonia (Slot IV: Test), and Chile (Slot V: Iterate). Each slot had their challenges such as language barriers or dealing with a cultural context that’s entirely different, but the participants prevailed through collaboration and iteration. At the end of Slot VI, the participants at the D-Lab again visited KMG to present the result of the 36 hours of hard work. The final proposal hinged around creating a place where students interested in design and manufacturing can meet entrepreneurs and others with the professional world. President Makino from KMG gave positive feedback on how quickly such concepts were developed requested the participants to support further collaboration between industry and academia. The participants commented that “the themes and problem solving approach differs greatly from country to country and building on top of that was challenging as well as eye opening.” Furthermore, they were delighted to learn about KMG through the project, that there is a place where they can connect with startups and entrepreneurs. Rat Relay will return to the KYOTO Design Lab in 2019. If you’re interested in participating, please follow our website so that you’ll be notified when applications will open next. Worked in Asian overseas sales in the electronics industry, and marketing for an IT company. Since 2014, he is in charge of the COC collaboration project (regional collaboration) and TechLeader (leadership development) project at the Kyoto Institute of Technology. Courses in charge: Leadership Practice I · II · Kyoto Startup Summer School etc. Rat Relay was organized by Tatsuya Tsubuki and Assistant Professor Sushi Suzuki at the KYOTO Design Lab. Special thanks to the DFGN and all the institutes who participated in order to make this possible.